ATTENTION!!! You get the key from the licensed version of the game. Guaranteed purity key! Be the fastest to be the first! The continuation of the famous racing driver Race Driver: GRID award-winning BAFTA 2009, created on the basis of an updated version of the engine EGO Game Technology Platform. 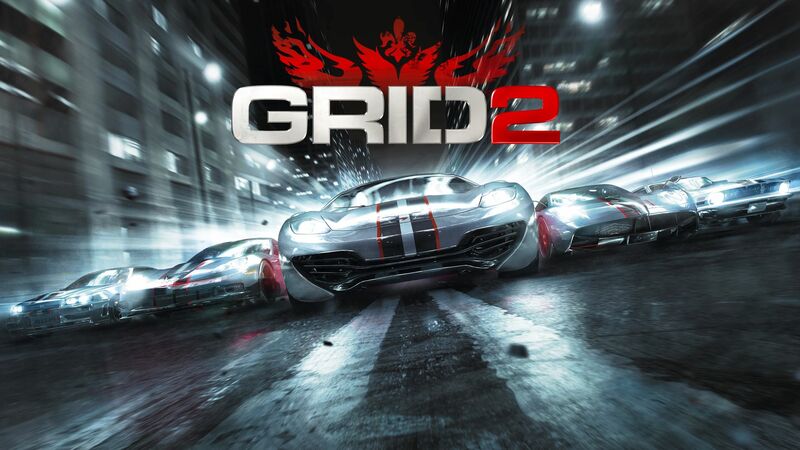 Entertainment, a realistic damage model, advanced artificial intelligence, Flashback return function, which, following Race Driver: GRID, was used in other games of the racing genre - continuing the best traditions of the original, GRID 2 raises the bar for virtual auto racing. GRID 2 presents an extensive fleet of vehicles, which contains the legendary models of the last four decades. Choose an iron horse and make your way to the top of the glory of world motor racing, having conquered many tracks in different parts of the world - from Paris to Abu Dhabi, from Chicago to sunny California. Show your skills on detailed recreated streets of big cities, licensed tracks and mountain roads. Take part in World Series Racing - a series of competitions for the title of the world's best rider between virtuoso pilots from the most famous clubs specializing in various disciplines, including track racing, drift and street racing. By purchasing an electronic version, you buy only the key. The game is downloaded and installed directly through the Steam system. To do this, you need to register an account on the Steam system. 4. You will be asked to enter a product code, enter the key purchased from us.